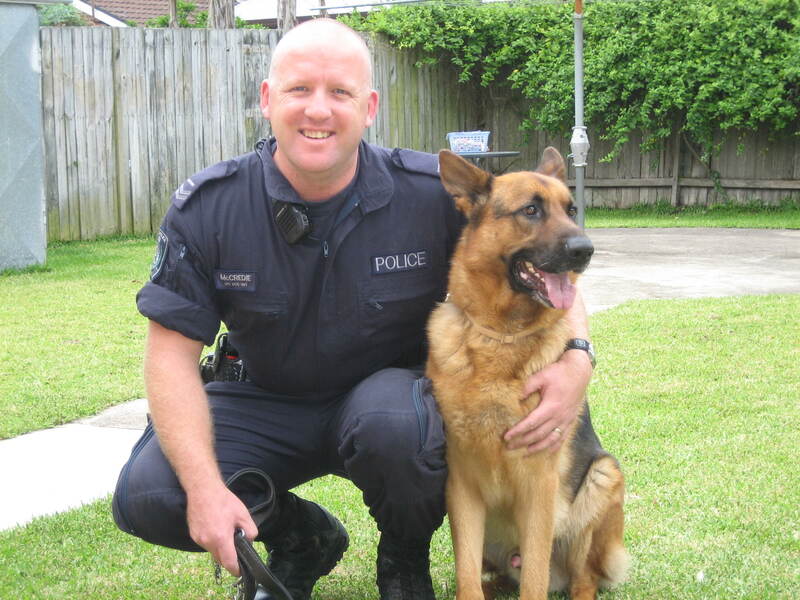 Former NSW Dog Squad officer and best-selling author Matt McCredie will give a fascinating talk about his experiences and demonstrate the skills of his retired police dog, Rex. McCredie is a compelling storyteller and, with Rex at his side, he will recount his experiences with Rex and with his previous dog, Merlin, whose untimely death left McCredie deeply saddened. He reveals that life for a police dog can be surprisingly harsh, whether being on the wrong end of assaults by criminals and violent drunks, or through injuries received from arduous and athletic pursuit work in rough or hazardous terrain. McCredie, who spent over 20 years in law enforcement, had to retire a few years ago on medical grounds after suffering a major knee injury in the line of duty. Rex is also retired, having passed the maximum age of seven years for police dogs, and now lives with McCredie and his family. Even now in civilian life, man and dog are as close. Meet Matt McCredie and Rex this Sunday and hear their stories. Please note there are two sessions. WHERE: Woodville School of Arts, Paterson Road, Woodville, 2321. • Session 1: Midday to 2.30pm, including lunch. Noon: Skill demo by Rex. 12.30 – 1.30 buffet-lunch for adults, or a sausage-sizzle/pies for kids; 1.30 – 2.30 – Talk by Matt McCredie. Price: all-inclusive Adults $20; Children $8. • Session 2: 3.00pm to 4.30pm, including afternoon tea. Skill demo by Rex. Talk by Matt McCredie. Price: (all inclusive) Adults $8; Children $4.